We arrived into Auckland, New Zealand on the 16th April 2017 after getting a very early flight from Cairns. We arrived in the late afternoon and it wasn’t long until we had both fallen asleep in the taxi during the hour journey from the airport to our hostel in Ponsonby. It was 15 degrees cooler than it had been in Australia but it still seemed sunny so we were hopeful it wouldn’t be too cold whilst we were here! We also noticed that New Zealand was a lot more similar to the UK than Australia had been, even just from leaving the airport. 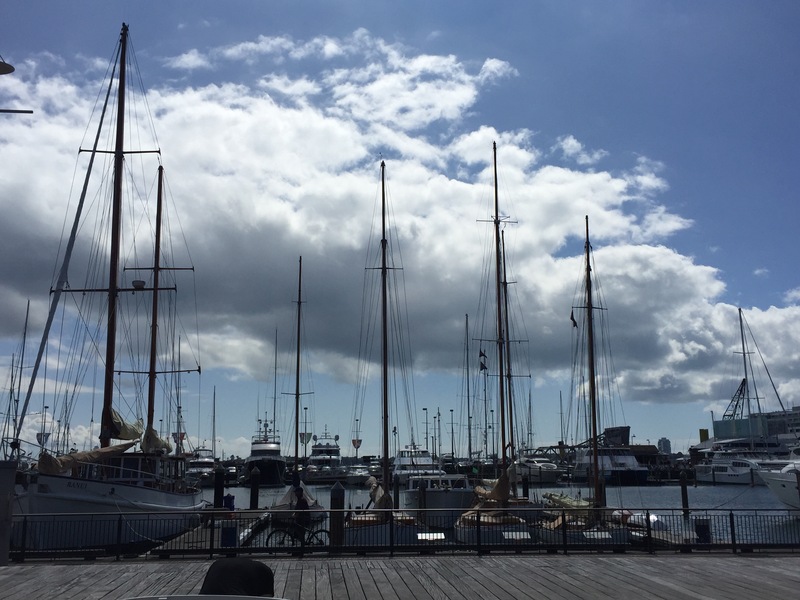 Our hostel (Brown Kiwi) was nice – possibly more for long termers who were working but that wasn’t an issue for us as everyone was nice – and there was good wifi so we had a chilled first evening in New Zealand, mainly because we were so tired. 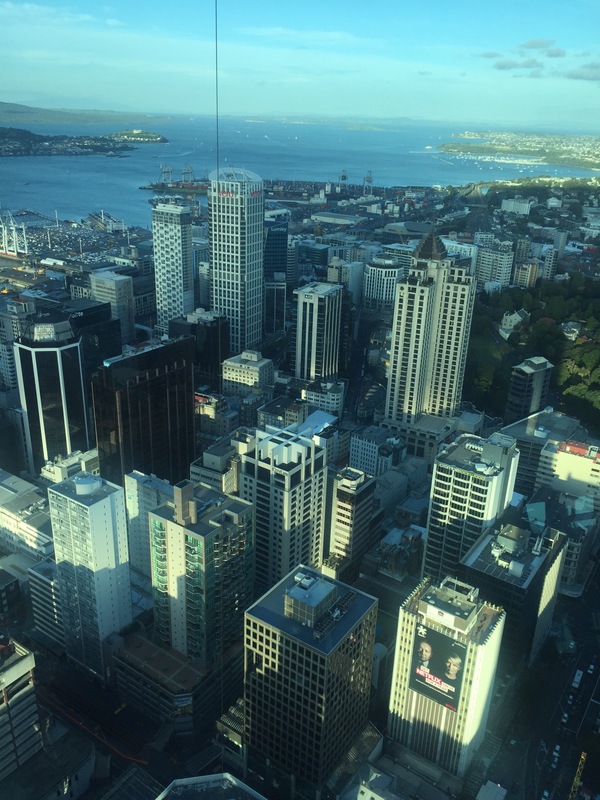 Auckland is the largest city in New Zealand with a population of 1.5 million. The total population of New Zealand is 4 million so I’m sure you can imagine that, if just over a third of the population is just in Auckland, a lot of the other places we visited will have pretty sparse populations in comparison. We hadn’t known this at the time but since travelling to more parts of New Zealand it’s very clear that it has the most people living there – but we really liked it! On our first full day there, after a good nights sleep, we walked into the Central Business District and around the harbour. It was lovely weather and so we got to see the harbour in all it’s glory. 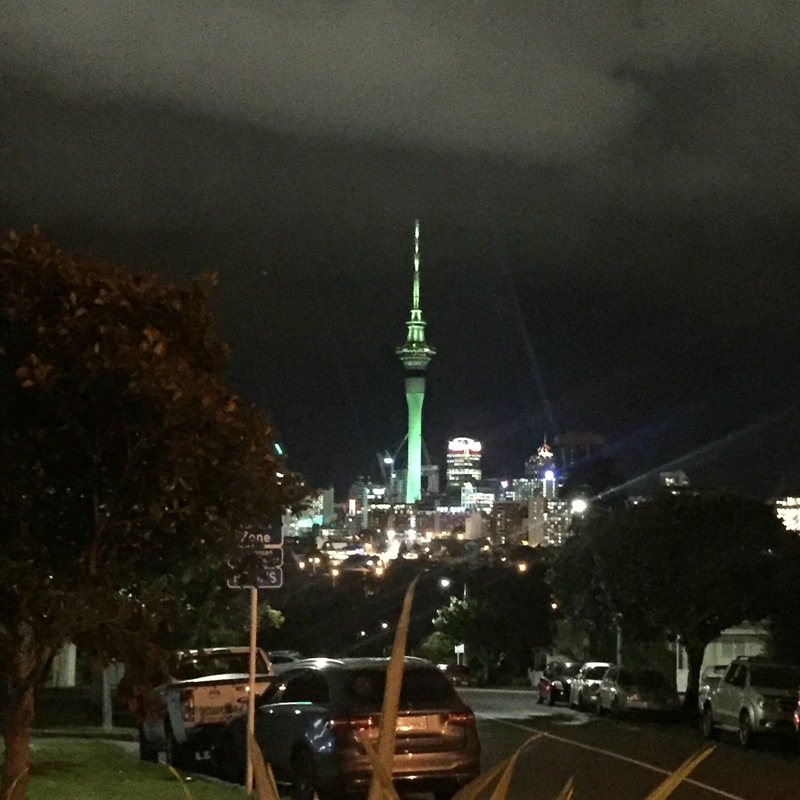 There are loads of bars around the harbour on Tamaki Drive and Princes Wharf which may not have been very busy on a normal day but it was St Patrick’s Day so people were out in full green force. Many of the bars (there were quite a few Irish bars around the harbour) were covered in green decorations, playing loud music for the occasion. It was a great atmosphere and made the place seem even more lively. For lunch we stopped for burger and chips at Burger Boy which was nice and also allowed us to people watch for a bit and soak up the city. 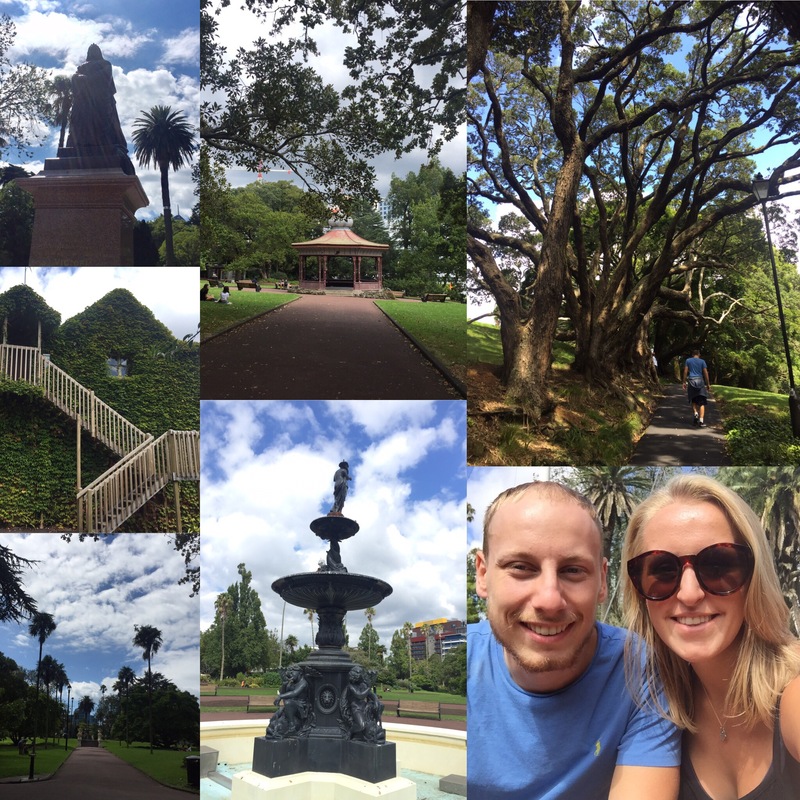 We next went to Albert Park which sits high up over the city. It’s a nice park – made better by the sunny day – and has lots of trees amongst the open spaces as well as a big fountain. We sat here in the sun for a while as we were still pretty tired from our time in Cairns. We had a walk through the university campus which was beautiful. It reminded me of what American campus’ look like on TV (I’ve never seen one in real life) with wide, tree lined streets and white buildings. It was really busy too as we must have come in between classes – it looked like a nice university to go to. I had read in my Lonely Planet book about St Patrick’s Cathedral so we went looking for that. It had described a beautiful cathedral that shouldn’t be missed when in Auckland but, when we found it, it was just a little church and didn’t have anything magnificent about it considering what we have seen in the past. There was a wedding going on at the time so we couldn’t go in so maybe the beautiful architecture is inside more than out. As it was St Patrick’s day we thought we would go out for a Guinness to celebrate, this would also be our first drink in New Zealand so we could also toast that as well. Unfortunately, it turned into a disappointing evening. We headed along Ponsonby Street – similar to Osbourne Road in Jesmond – with loads of bars, restaurants and takeaway places. It was really busy as St Patrick’s Day had also fallen on a Friday and all the bars were really busy. Not many places sold Guinness and then, when we found one that did, we weren’t allowed in because we didn’t have our passports. That’s not to say we didn’t have ID… in Australia they had always accepted our driving licences as a form of ID and so we just assumed it would be the same in New Zealand. That wasn’t the case, however, and nowhere would take us without our passport. We had walked pretty far by this point – it’s a very long street – and had lost all motivation to go back and get our passports to try again. We ended up back at the hostel without having had a drink in a single bar – not the night we had planned! 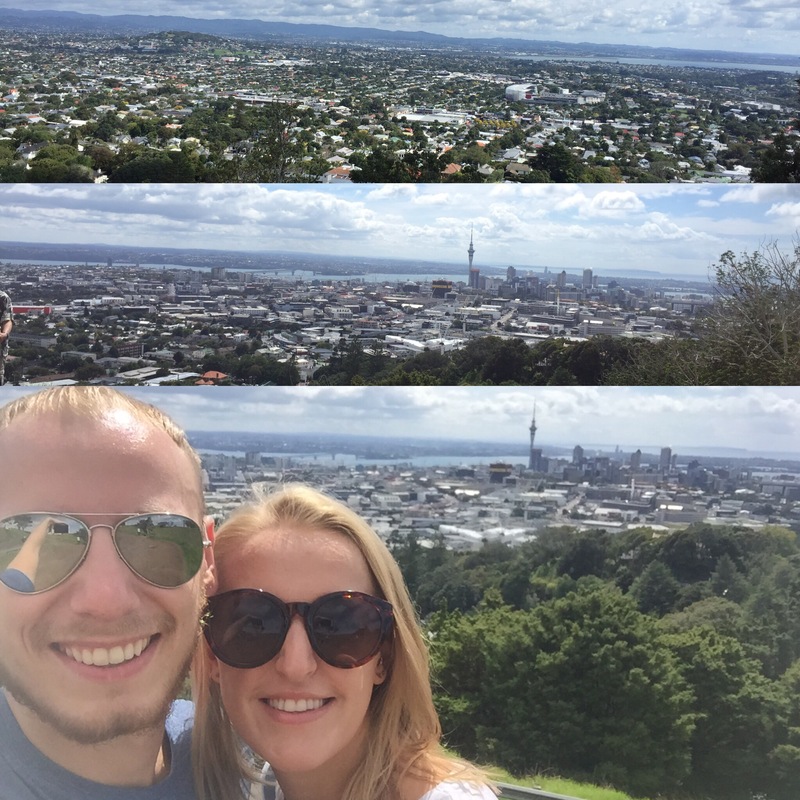 On the 18th April 2017 we decided to go and see one of the 52 dormant volcanoes that surround Auckland – Mount Eden. 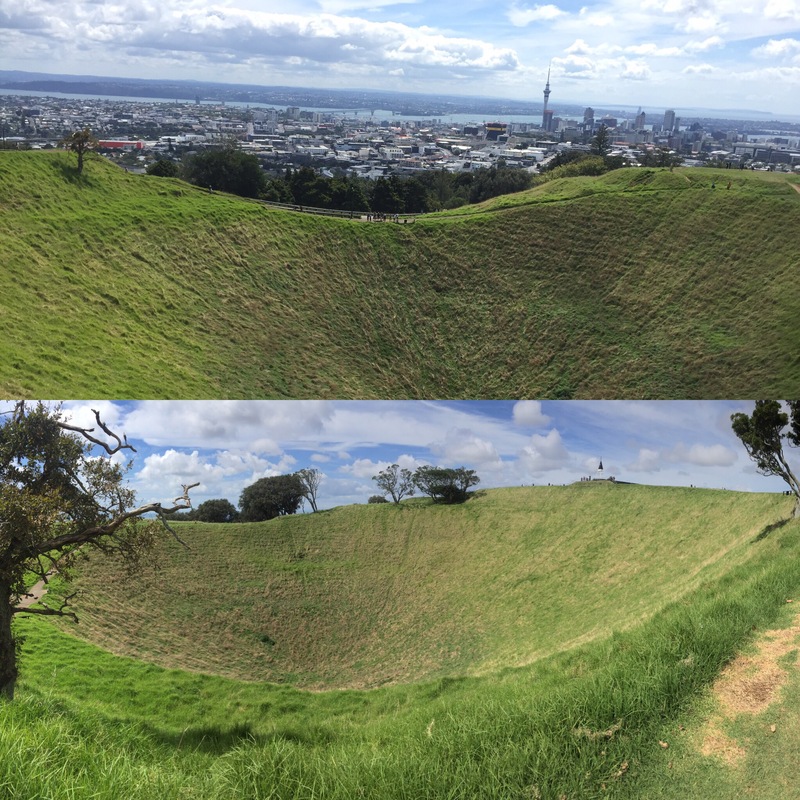 This is a giant crater with great views of all of Auckland. We had to get a bus there but it wasn’t too long a journey and the walk up to the top wasn’t a bad one, especially considering the views you were able to get. It was a lovely day – we were really lucking out with the weather – and we spent quite a while at the top of the crater taking in the 360 degree views. 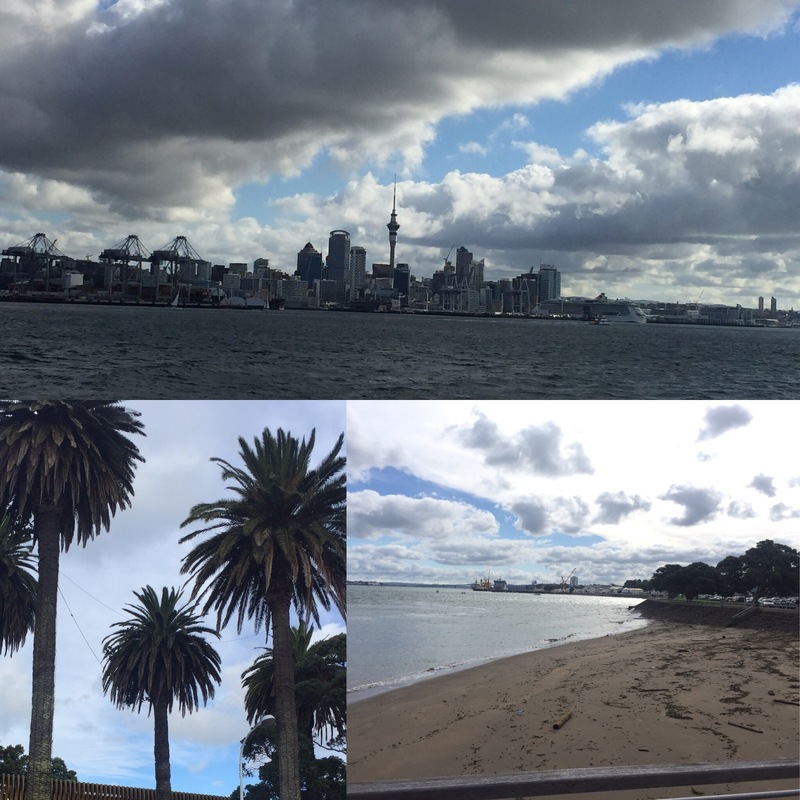 After getting the bus back into the city centre we caught a ferry over to Devonport which is a cute little town that is actually part of the mainland but easier to be reached via a ferry from Auckland. There wasn’t really that much to see there so we didn’t spend too long here before heading back into the city. Auckland was heaving as Justin Bieber was in concert that night (which made us realise why we had struggled so much to find a hostel for the Saturday night) but it was nice to see the place buzzing with excitement from everyone who had travelled to Auckland from all over New Zealand to see the show. 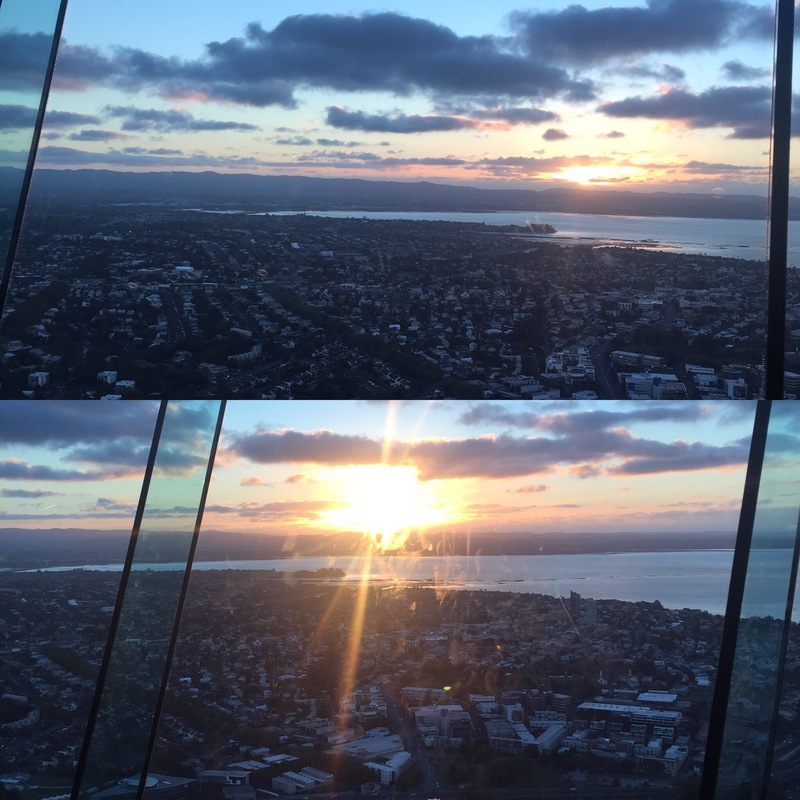 As it monopolises the Auckland skyline, we couldn’t miss the chance to go up the Auckland Sky Tower. 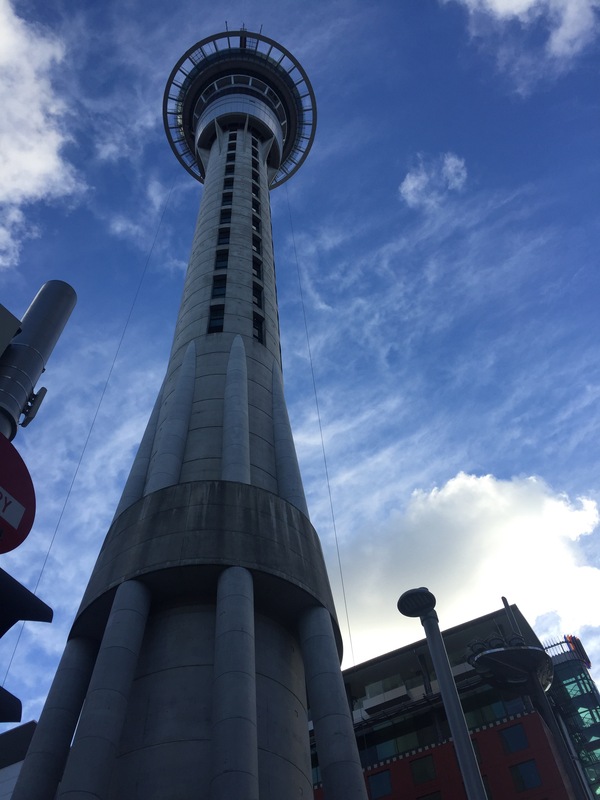 The tower is 220m high and gives fantastic views of the harbour, surrounding islands, the city centre and into the suburbs. We had a clear sky that evening so you could see for miles. 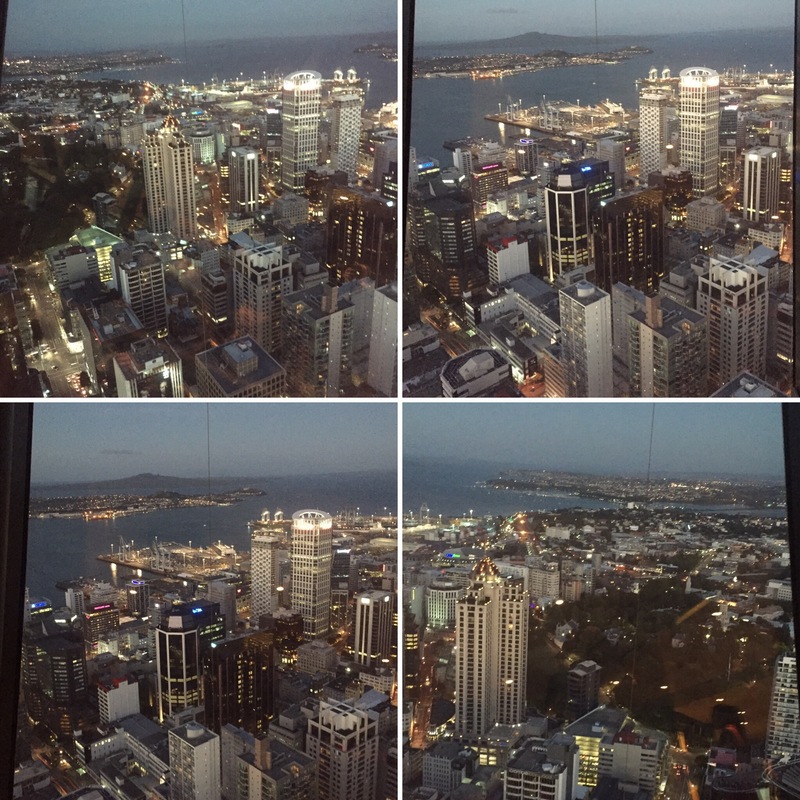 Auckland is twice the land mass of London (with not nearly the same amount of people) so that means the city is really spread out – something you can see a lot clearer from the top of the Sky Tower. We decided to stay for the sunset so that we could also see the city lighting up for night time. 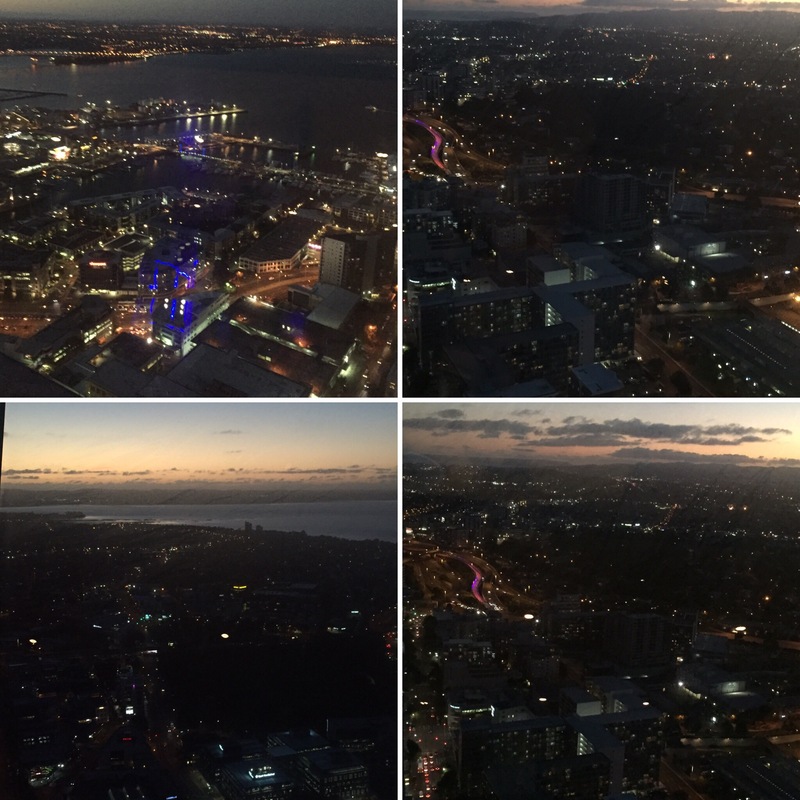 It was really nice getting to see the city in daylight, sunset and after dark all from the highest point in the city. 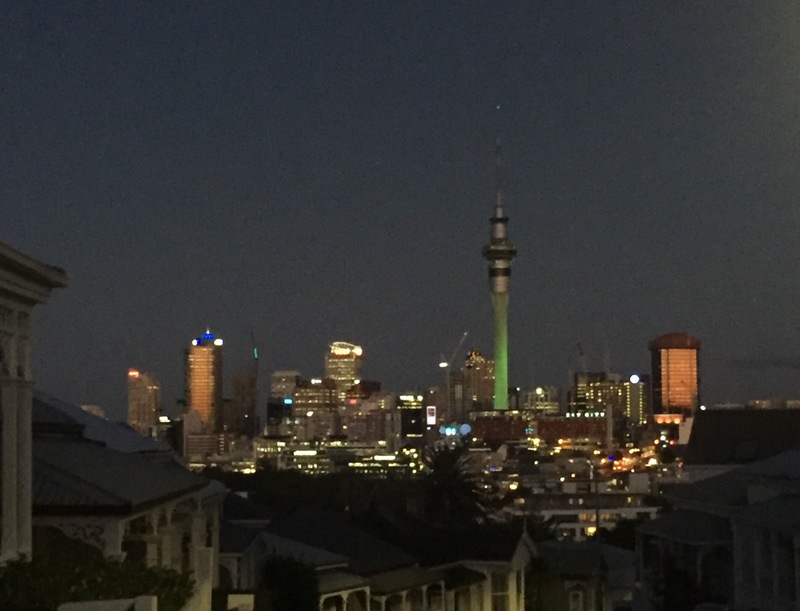 I love seeing cities at night and Auckland didn’t disappoint in the slightest. We ended up spending a couple of hours up here enjoying the views and it was a lovely way to end our last night in Auckland before heading up to the Bay of Islands.